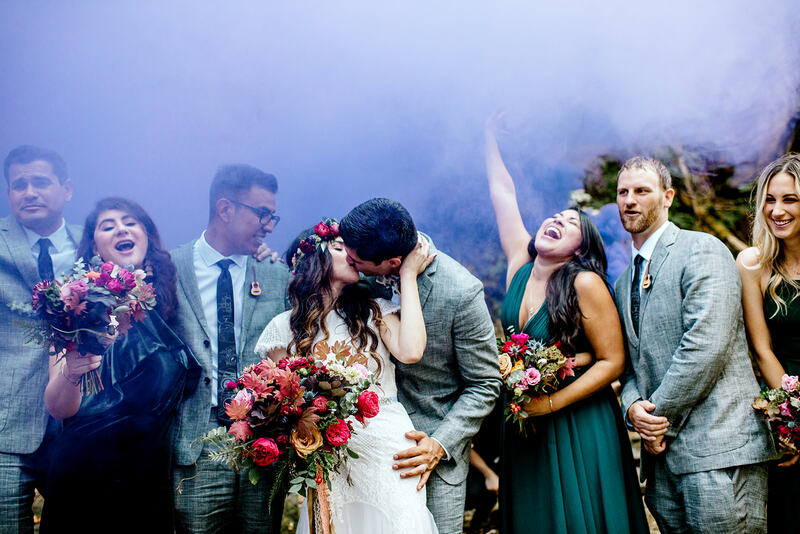 Engaged for over 2 years, Karay and David wanted to insure they had planned their perfect wedding at Tin Roof Barn, and they have the photos to prove it. Not only was their Gorge wedding a celebration of their love, family, and friends, but a time for the entire group to truly enjoy being together. 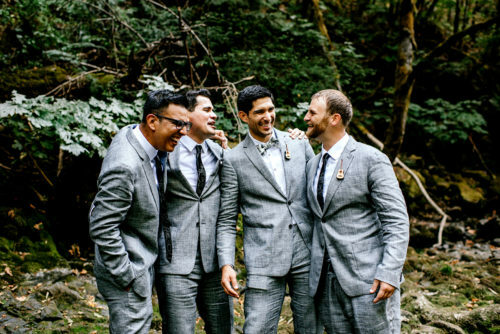 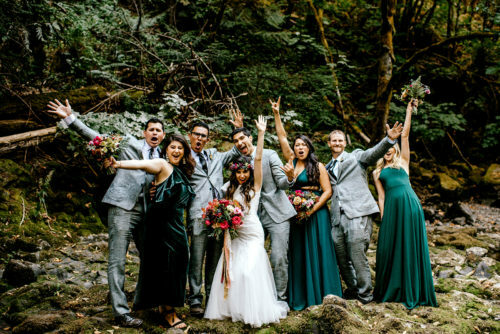 Always the adventurers, they took their wedding party just a couple miles up the road from Tin Roof Barn to a white water rafting drop-in site on the White Salmon River. 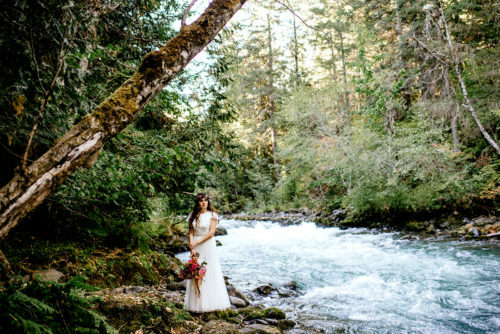 This addition to their Gorge wedding created some of the most beautiful bridal images we’ve ever seen! 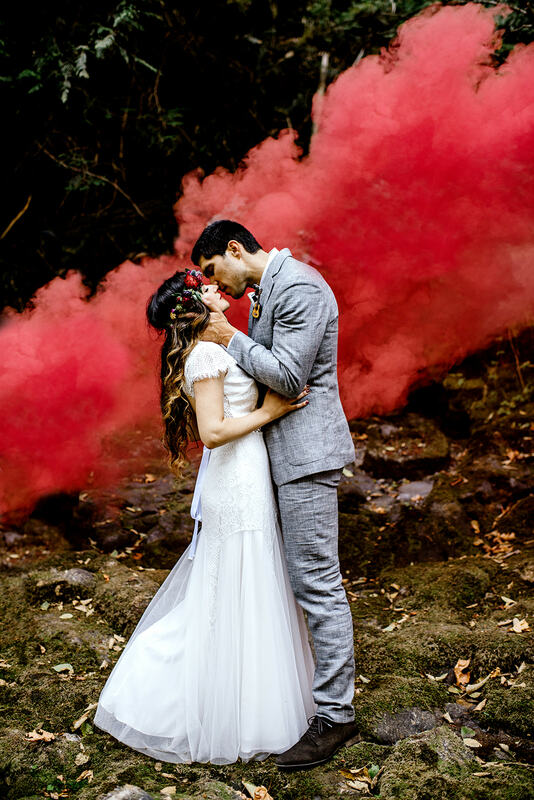 Another brilliant addition? SMOKE BOMBS!!! 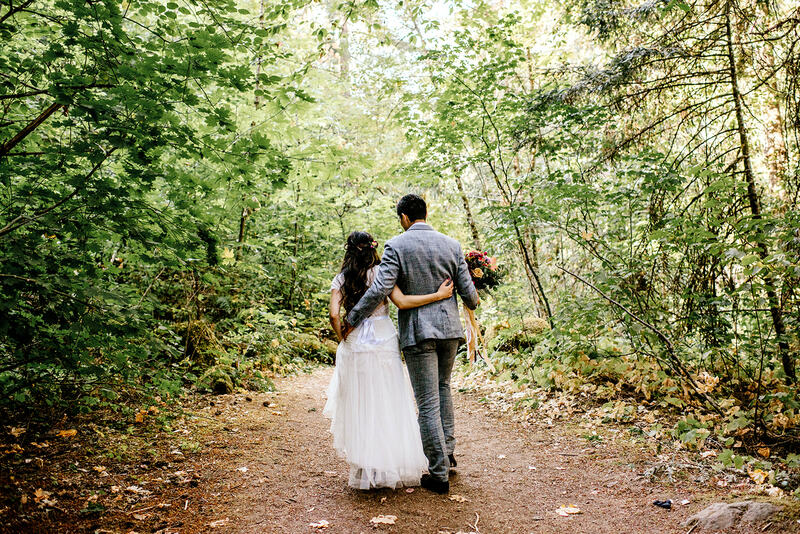 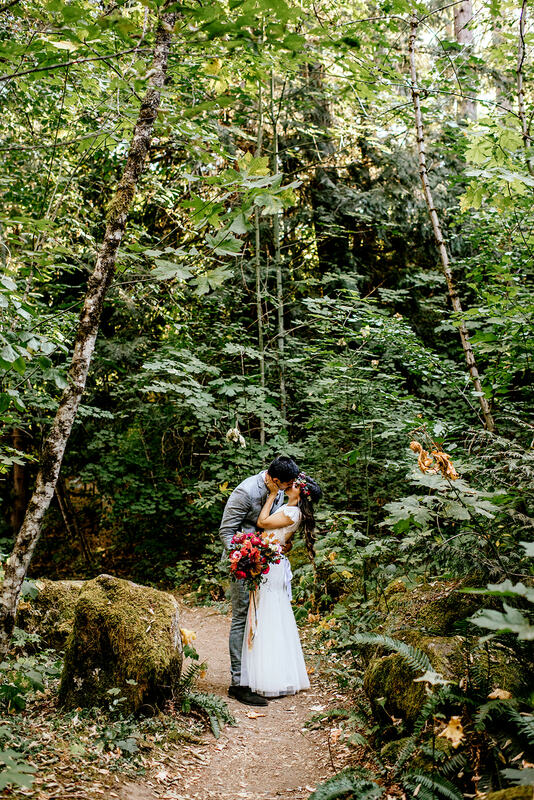 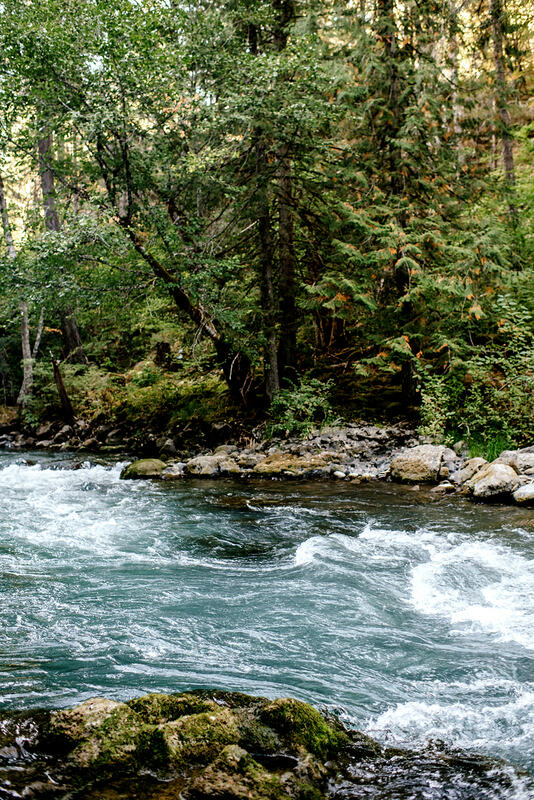 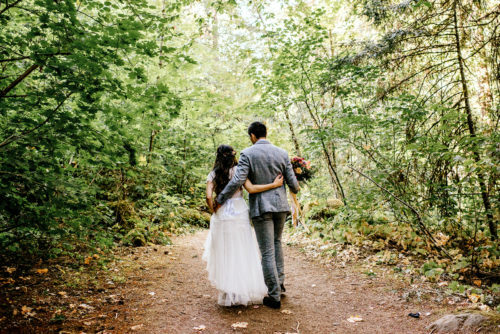 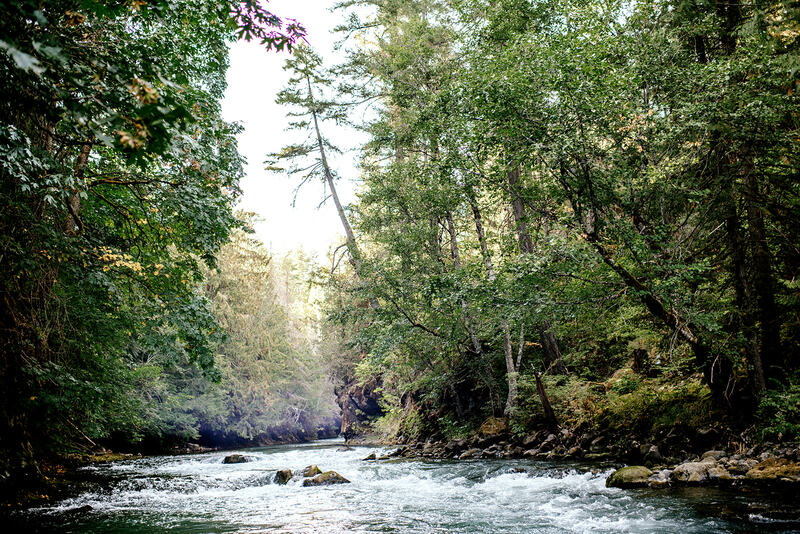 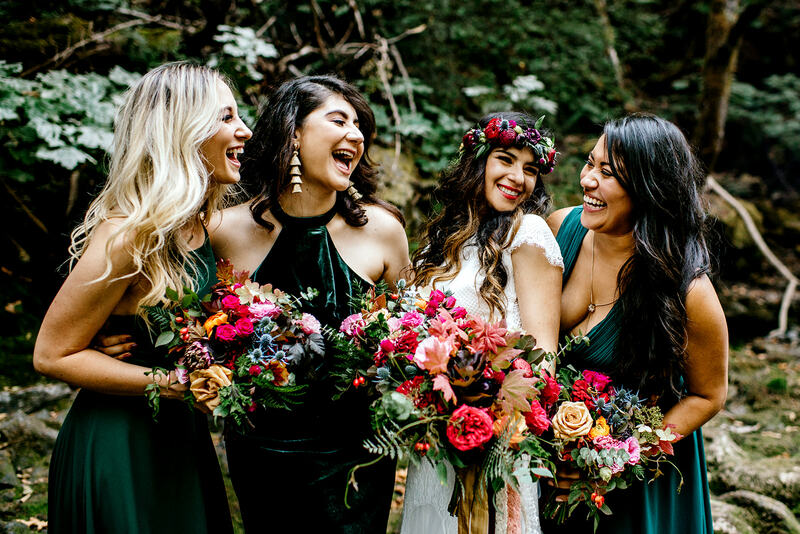 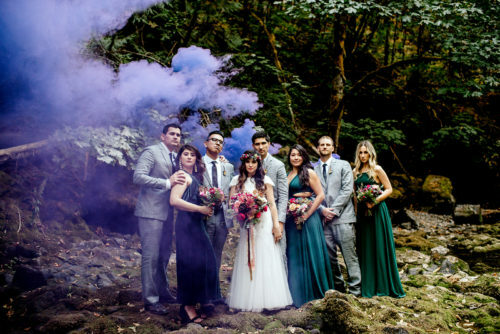 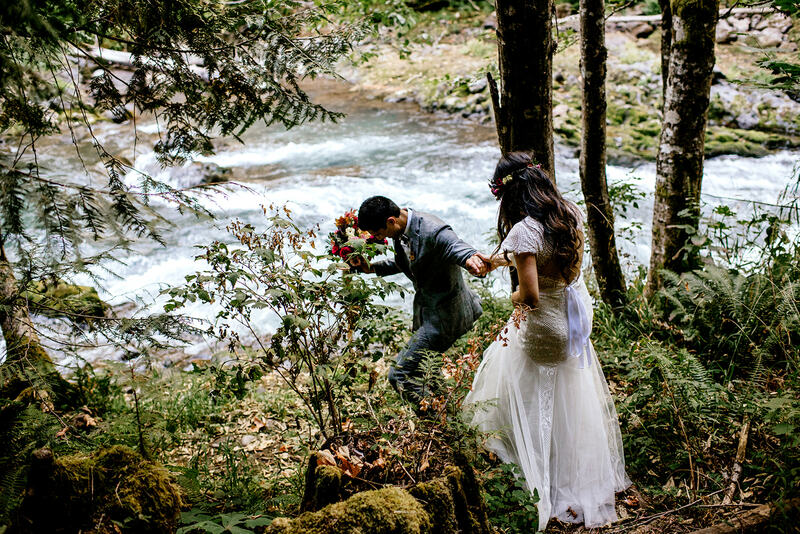 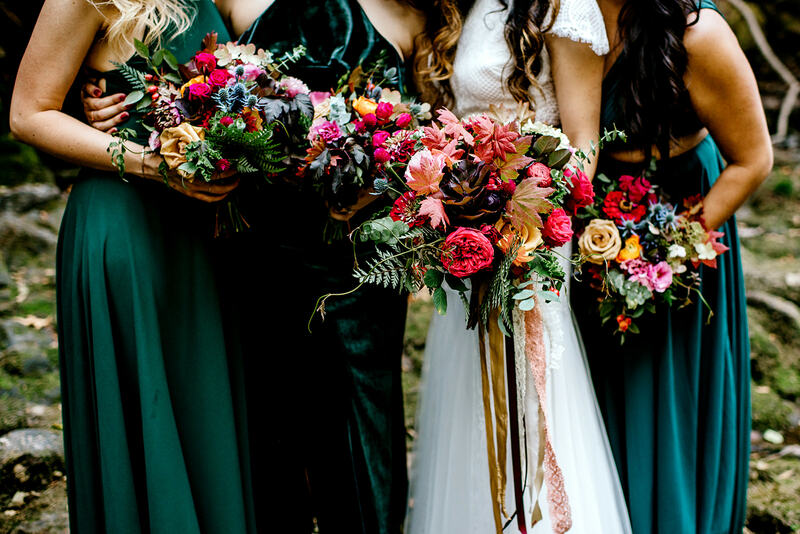 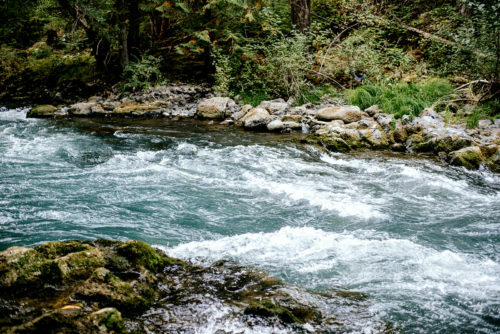 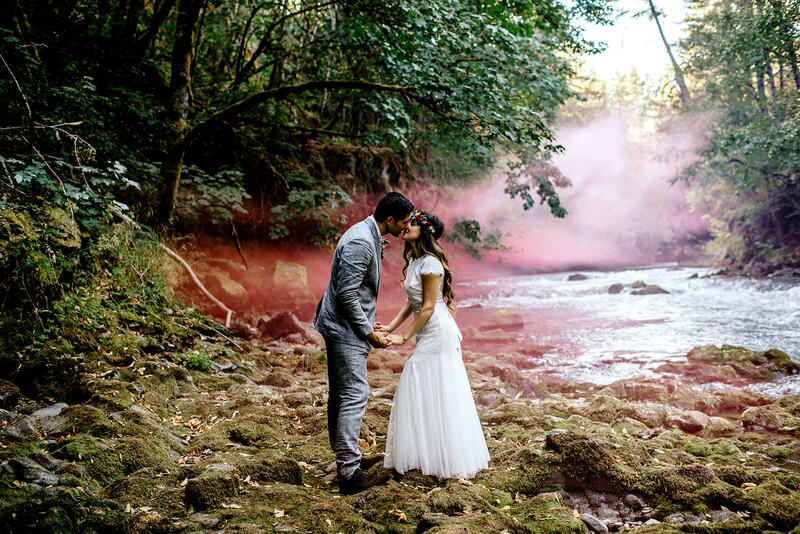 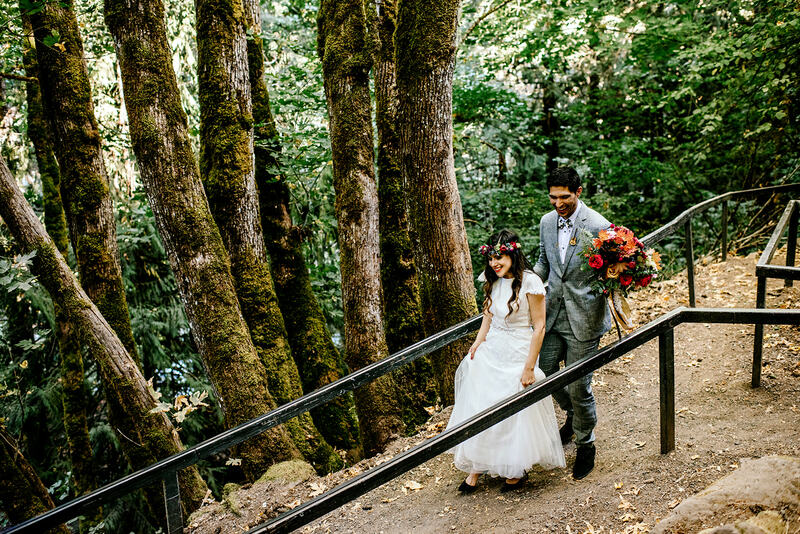 If you’re planning a Gorge wedding, you know that our beautiful little piece of heaven has been subject to numerous forest fires in the last several years. 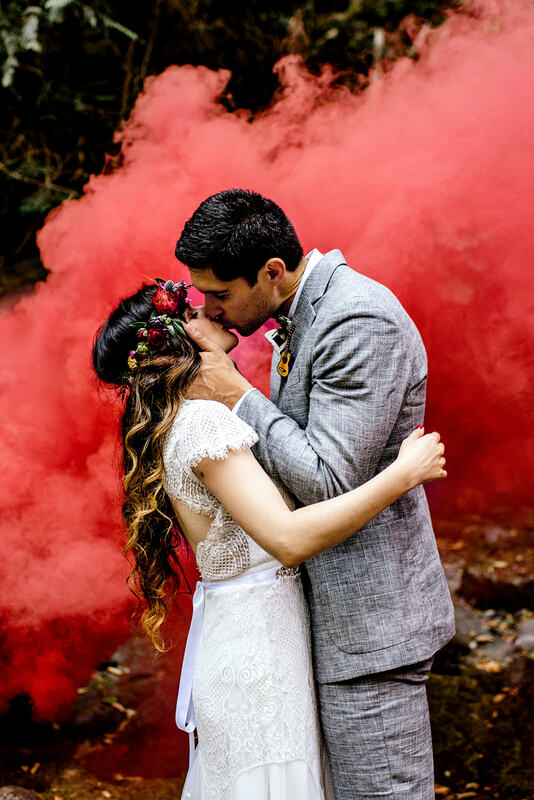 At Tin Roof Barn we do not allow flames of any sort due to the fragile nature of our local ecosystem and the burn bans that are in effect from July through September. Since sparklers are not an option, we think these smoke bombs might just be the best thing since sliced bread (or at least since sparklers). 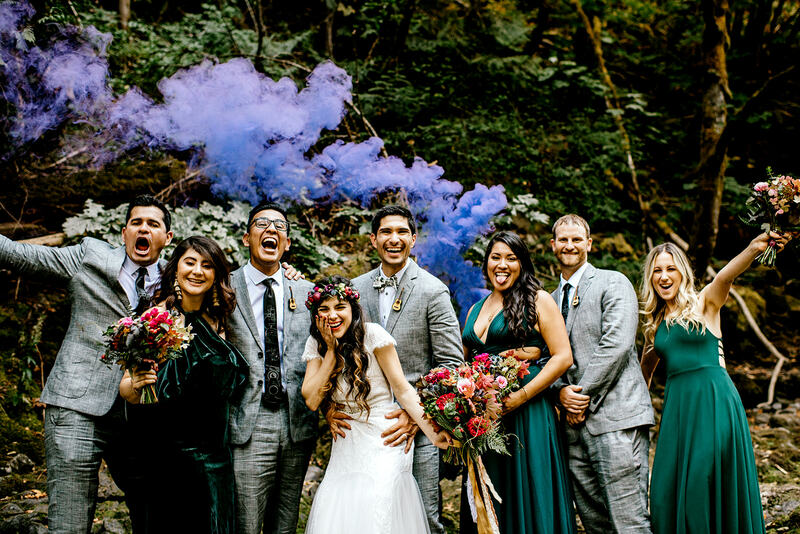 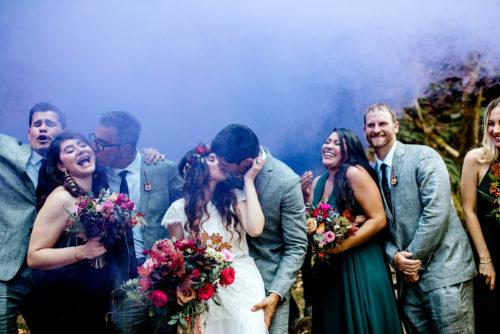 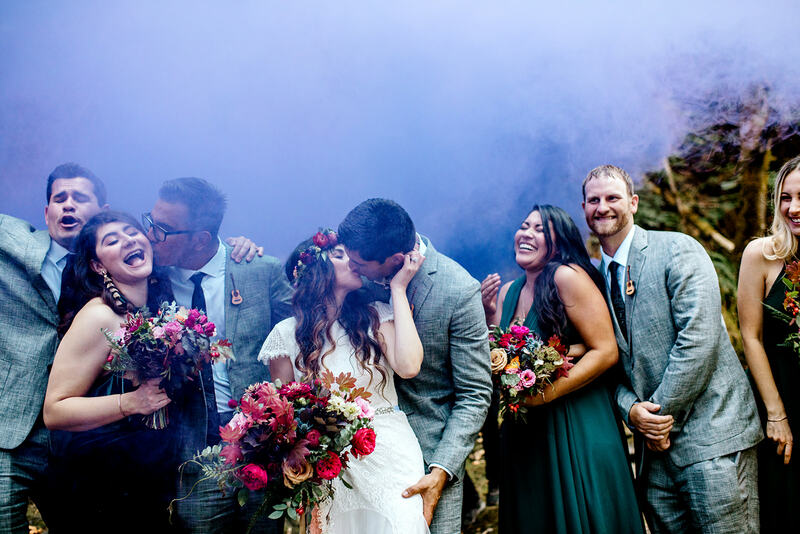 Check out these photos and make sure you’re stocking up on this fun alternative to sparklers if you’re planning your own Gorge wedding.